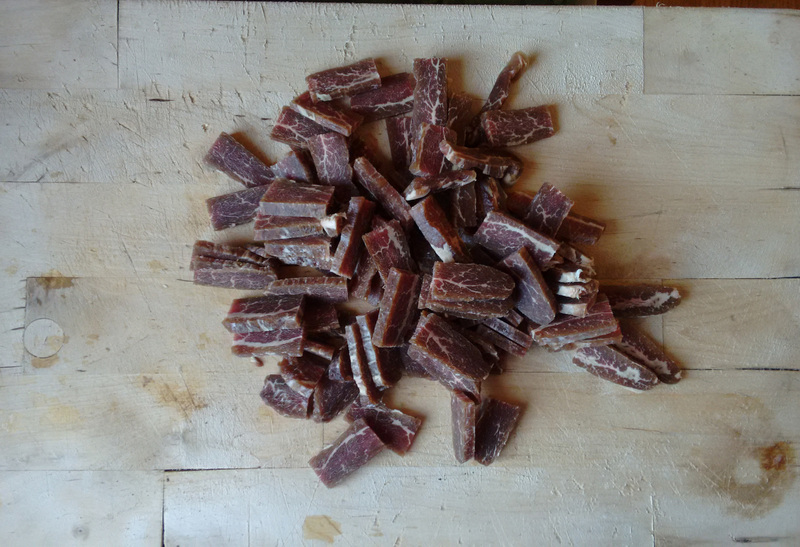 If I can’t have “carne de sol” (sun-dried meat), I am happy to have fridge cured meat (dry cure). 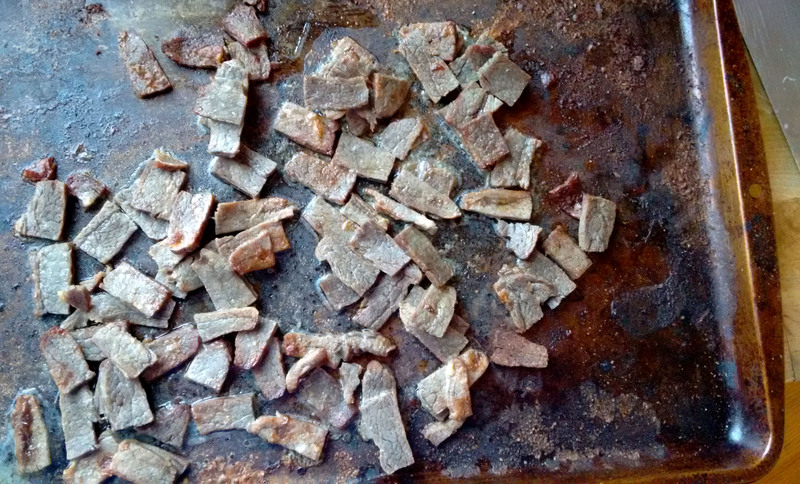 Carne de sol is salted, sun cured beef. I often had with yucca or cooked inside rice (Maria Isabel dish bellow). It is used in Feijoada. Carne de sol is also fried and served as an appetizer in Brazil. It was part of my family’s table growing up. 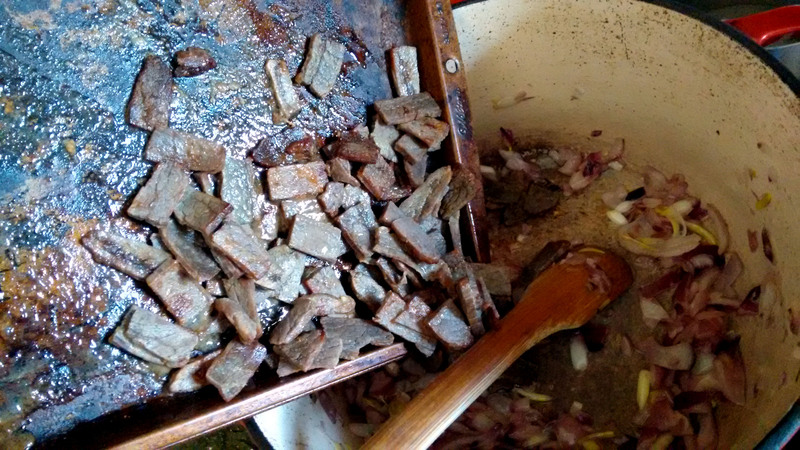 My mom is from the Northeast of Brazil and when relatives and friends would come to Goiânia (central of Brazil) to visit, they would bring us “carne de sol.” The sun-dried meat was made by adding lots of salt and letting the meat sit on a clothing line, on the sun of Bahia state for a couple of days. Now this meat is found everywhere, even Brazilian stores in Newark, NJ. 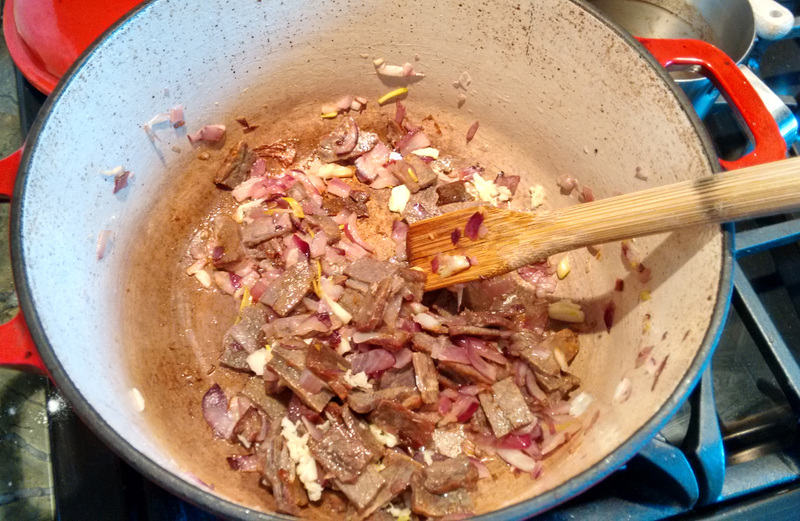 After this test, I am excited to make this often with local fresh beef. 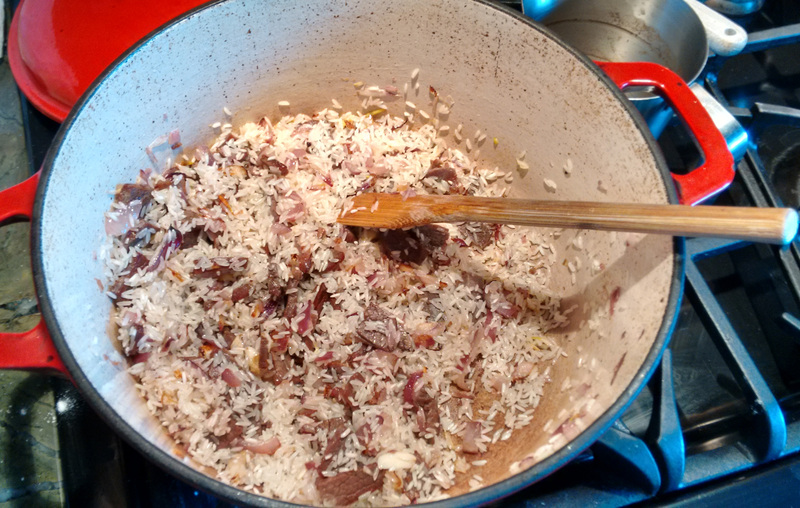 Tonight we ate “Maria Isabel” which calls for the salted cured beef cooked with rice. 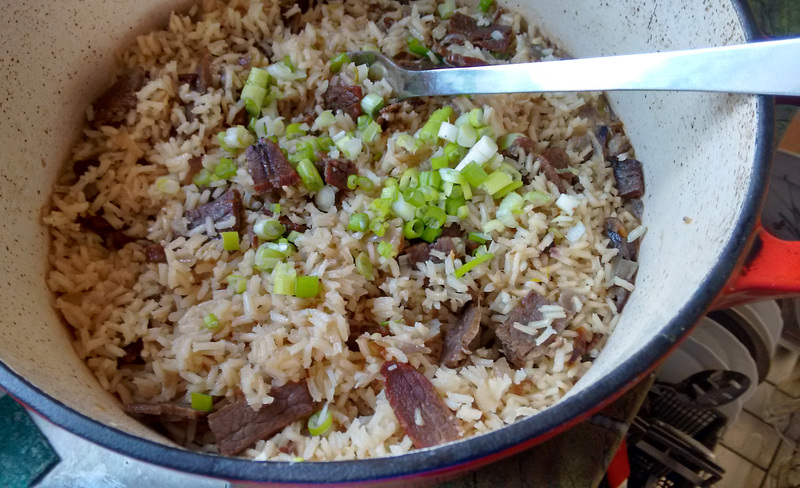 I used my fridge cured meat and it was delicious, tender and full flavor. Obrigada mamãe pela a receita! I know there is a lot of fear around preserving foods at home, here some recommendation. I love the oral history and the cooking methods and recipes that gets passed down to me from my family and friends, so I try to follow the steps. 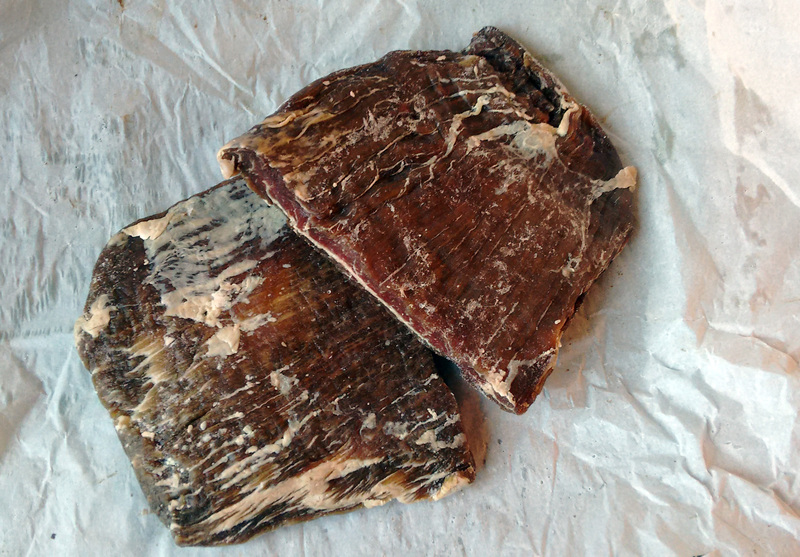 For the fridge salted cured beef I started with a cut of fresh, not previously frozen flank steak. Mom also uses other cuts like “chã de dentro,” looking at this photo you get an idea of the cuts and names, we could also use round in US. 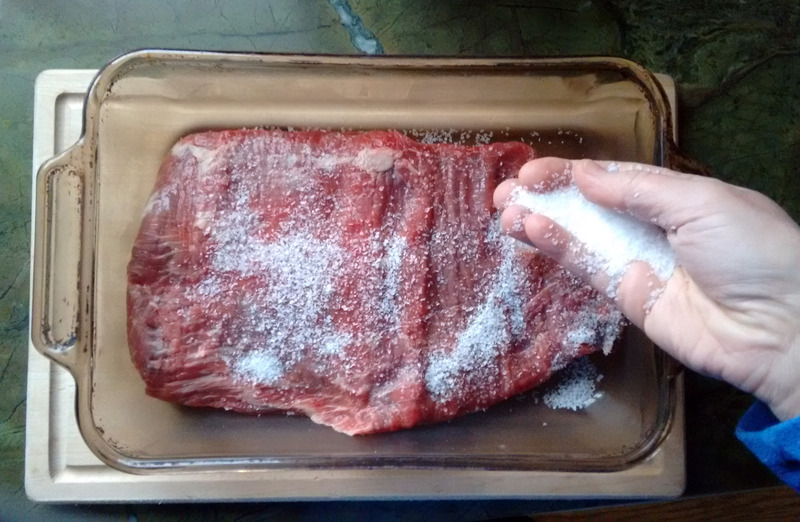 1) a hand full of salt for about 2 pounds of beef. Rub salt on both sides. Cover the meat with a towel and place in the fridge. Each day, discard the water the salt draws out. Turn the meat and repeat this for about a week. 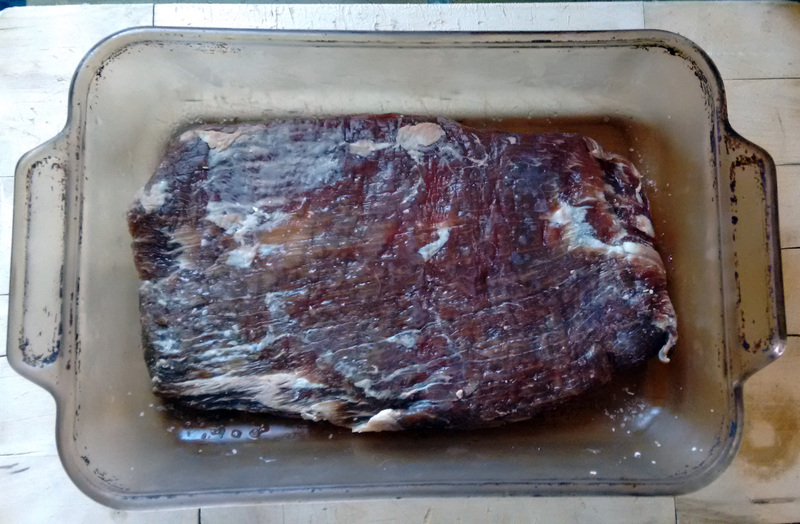 2) After a week, the meat looks dark and to make sure, I placed in the freezer for another 24 hours to finish drying. 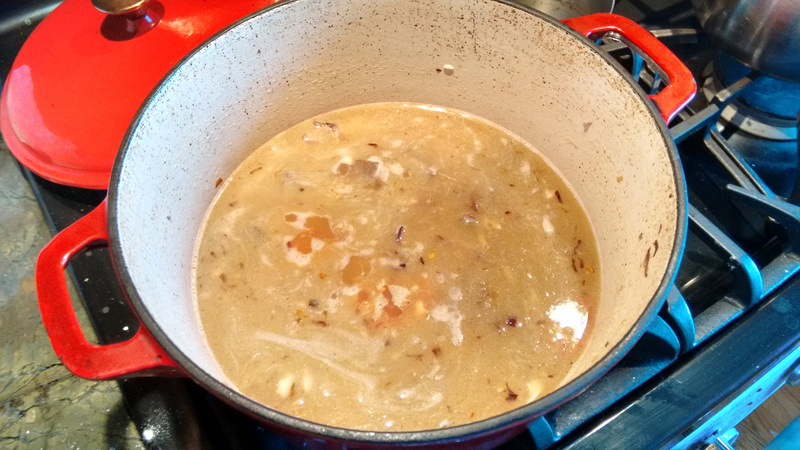 6) Repeat and add water to just cover the rice again. When the water goes down for the second time, turn the pot off and cover and wait 10 minutes until all the liquid is absorbed.